Sometimes referred to as Pneumonia due to the accompanying symptoms (coughing, running a fever, and having a hard time breathing). 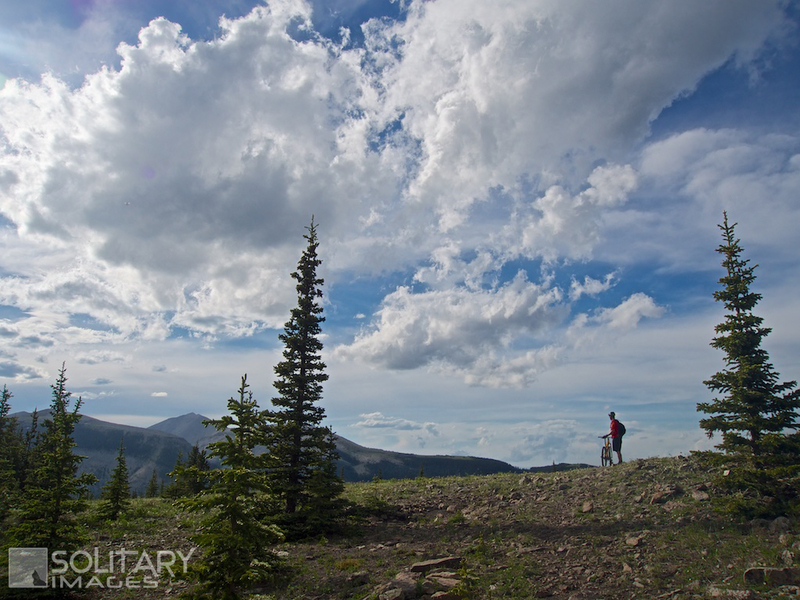 This is a Triple-T route, tough, tight, and technical, from the bottom of Moose Mountain Road to the top and it gets harder the higher you get but the summit view makes it all worthwhile. 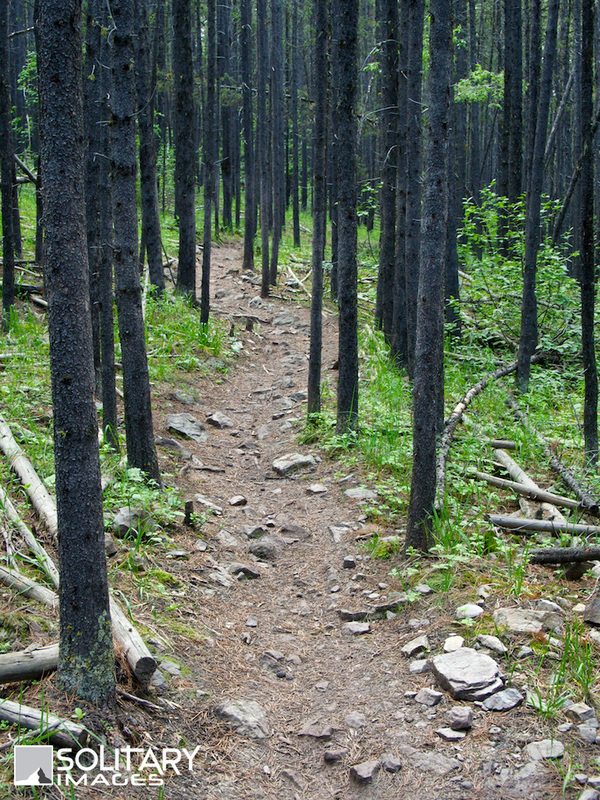 Numerous exit options provide a multitude of options for alternate descents. Wide bars beware, the spacing on this trail is very tight. 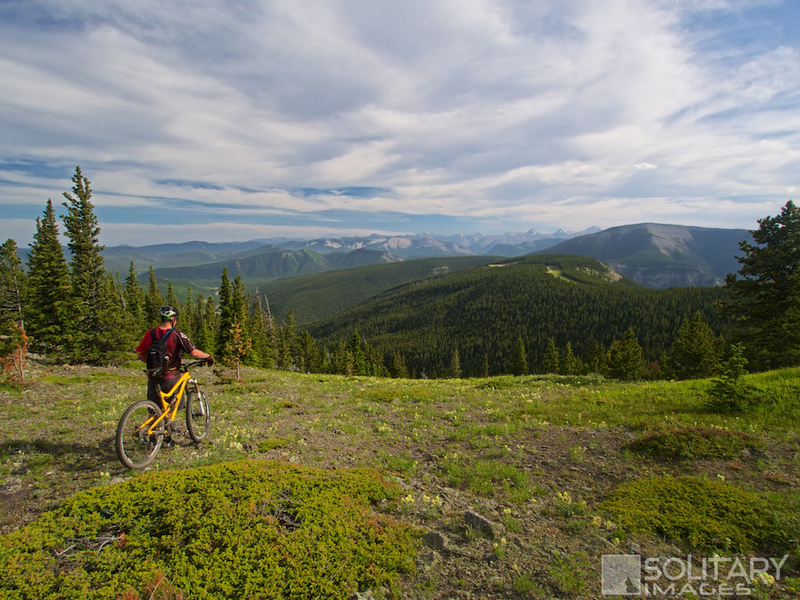 To Get Here: From the 4 way stop on HWY 22 next to Bragg Creek, take HWY 22 south to a T intersection. Turn right (westbound) on HWY 66. Continue down HWY 66 for 16km to Moose Mountain Road. Moose Mountain Road will be your first right after Station Flats. Pneuma has several points of access but most use it as an uphill access by parking and starting at Moose Mountain Base Parking, at the intersection of Hwy 66 and Moose Mtn Road. 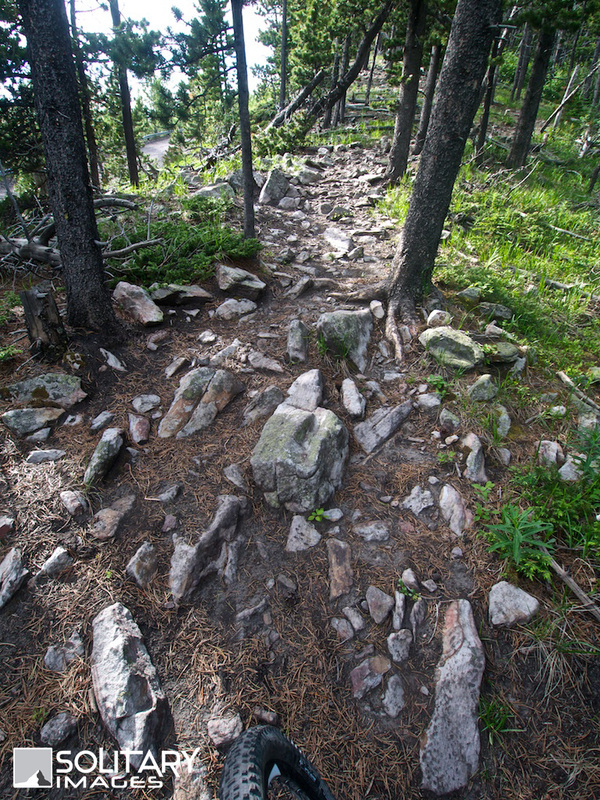 Pneuma can be ridden both ways but most prefer to use it as an uphill grind to access various trails. 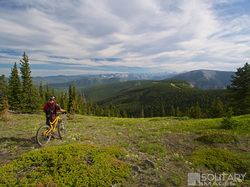 From Moose Mtn Base parking lot, ride west to the obvious trail entrance. 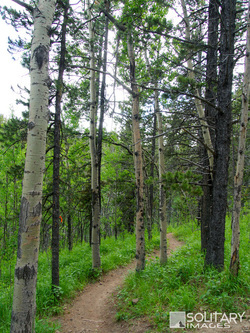 A deceivingly easy start wraps through the trees for 1.4 km to the Elbow Valley trail junction. Keep straight and in another 1.5km cross Sulphur Springs. The trail continues to wind it's way uphill on a groomed trail lined with tight trees, interspersed with the odd clearing that provides great views of the West Bragg area. 4.3 km past Sulphur Springs, you'll come across an opportunity to exit onto the Mountain Road. 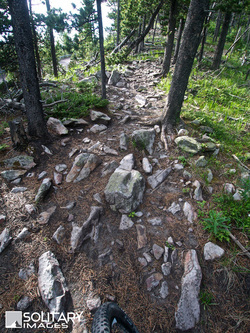 If you choose to continue past this junction, the trail becomes less groomed and very technical with lots of large rock, tight trees, steep pitches and tight corners. 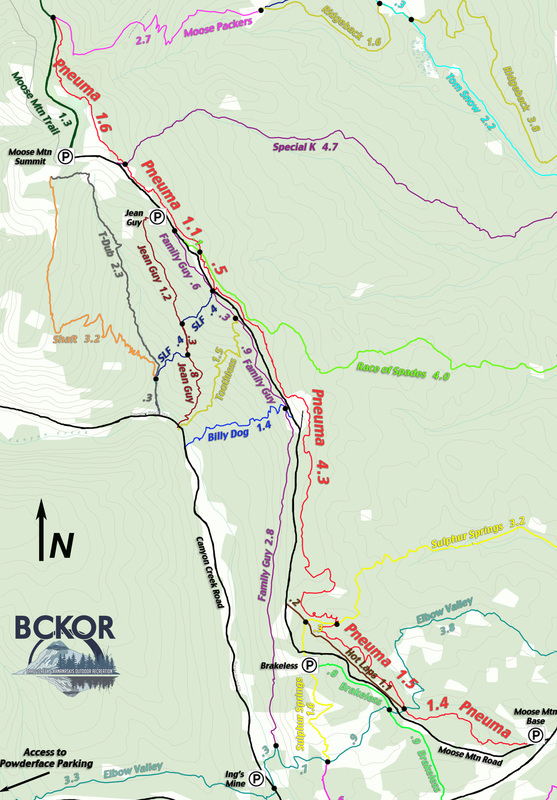 Continue to grind for another 1.6km crossing Race of Spades before popping out in the clearing at the top of Special K. This is your last chance to exit onto Mountain Road before the summit of Pneuma and starting the descent to Moose Packers junction. A short distance past Special K, you'll be awarded with an alpine meadow and 360 degree view of the country side. The descent to Moose Packers drops off over this rise. 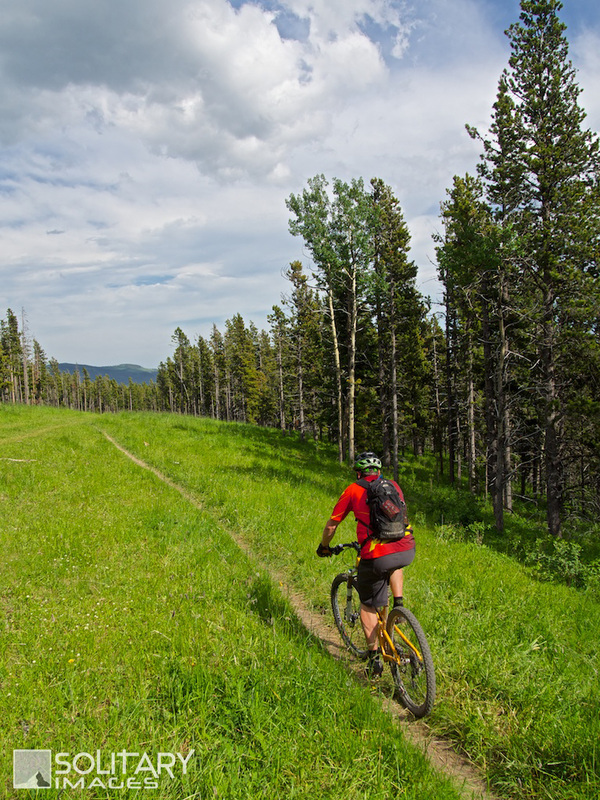 There are lots of options for alternate return trails with the two most popular choices being Pneuma - Moose Packers - Ridgeback, and Pneuma - Family Guy. 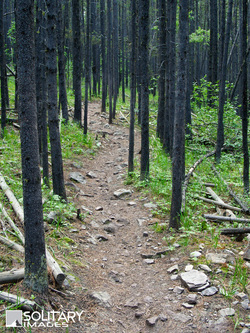 If you want a more exhilarating descent, you have your choice of downhill trails to choose from. Be aware that an expert downhill trail on a short travel x-country bike will often result in a non-consensual kidney donation to the trail.